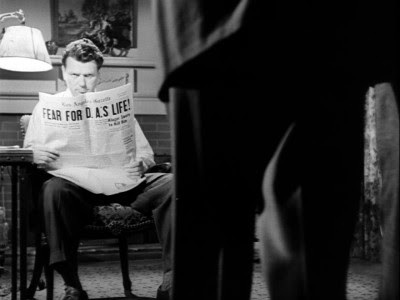 TCM's Film Noir of the Week for Saturday Night-Sunday Morning at Midnight a.m. ET (and 10 a.m. 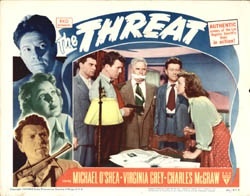 ET Sunday Morning) is The Threat (1949). 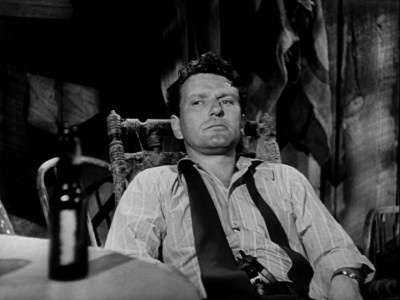 Charles McGraw chews the scenery in an over-the-top performance as a killer who escapes prison. Michael O'Shea, Virginia Grey, Anthony Caruso, Frank Conroy, and Don McGuire are supporting players in this RKO B-picture. 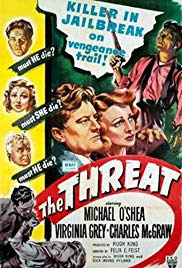 Film Noir Guide: “McGraw, a brutal psychopath who has escaped from Folsom prison, intends to keep his promise about getting even with the cop (Shea) who arrested him, the D.A. (Conroy) who convicted him, and the showgirl (Grey) who he believes betrayed him. TCM's Film Noir of the Week for Saturday Night-Sunday Morning at 12 am ET (and 10 am ET Sunday Morning) is The Woman in the Window (1944). 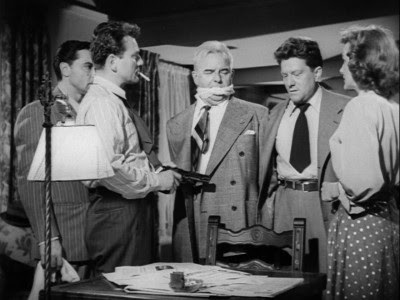 The Woman in the Window stars Edward G. Robinson, Joan Bennett, Raymond Massey, and Dan Duryea. Fritz Lang directed. Film Noir Guide: "After an evening of drinking with old friends at the men's club, a middle-aged assistant university professor (Robinson) stops to ogle a painting of a beautiful woman (Bennett) in a store window. As he stares longingly at the portrait, Bennett suddenly appears in the window reflection and, unbelievably, invites the astonished dreamer to have a couple of drinks with her. With his wife and kids out of town, Robinson gives in to temptation." In noir fashion, Bennett's boyfriend shows up, violence, murder and cover up ensue. 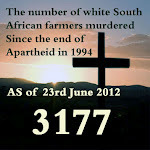 Followed by another murder. Woman in the Window has one of the surprise endings of all time. Some may like it, some may not.